Thank you for your interest in volunteering with Generations of Indian Valley. Every day, volunteers like you help us provide balanced nutritious meals to more than 250 seniors at little or no cost, helping them live healthier, more independent lives. 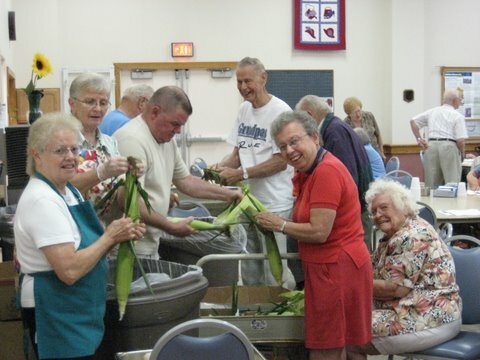 We also provide a wide range of meaningful and educational volunteer opportunities to retirees, civic minded adults, school students and corporate groups. Groups and individuals are welcome. We make every effort to keep volunteers meaningfully engaged and to provide them with a deeper understanding of the impact of our work. Many more opportunities. If interested, stop in and talk to a staff member about ways you can help! Generations of Indian Valley, 259 N. Second St., Souderton, PA 18964. Additional questions? Call our front desk at 215-723-5841 or check out our Volunteer FAQ page. Do you have a story about an outstanding volunteer experience? Please share it with us!